Here is a double whammy of sorts – to make up for last week’s absence of a post, and also to round things off for the summer, for Emilybooks will be enjoying a little recess over August, as I hope will you. 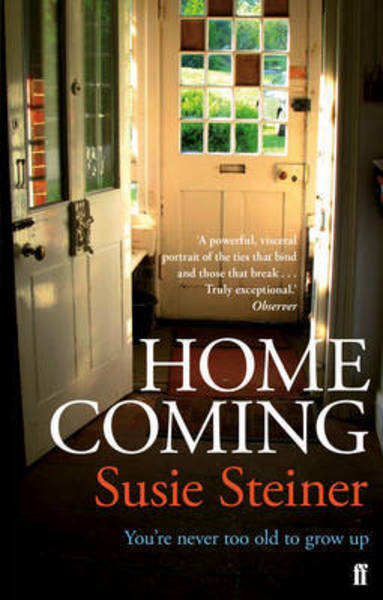 Last weekend took us up to Yorkshire for Deer Shed Festival, where I had lots of fun interviewing Susie Steiner about her novel Homecoming, and Samantha Ellis about her biblio-memoir How to be a Heroine. 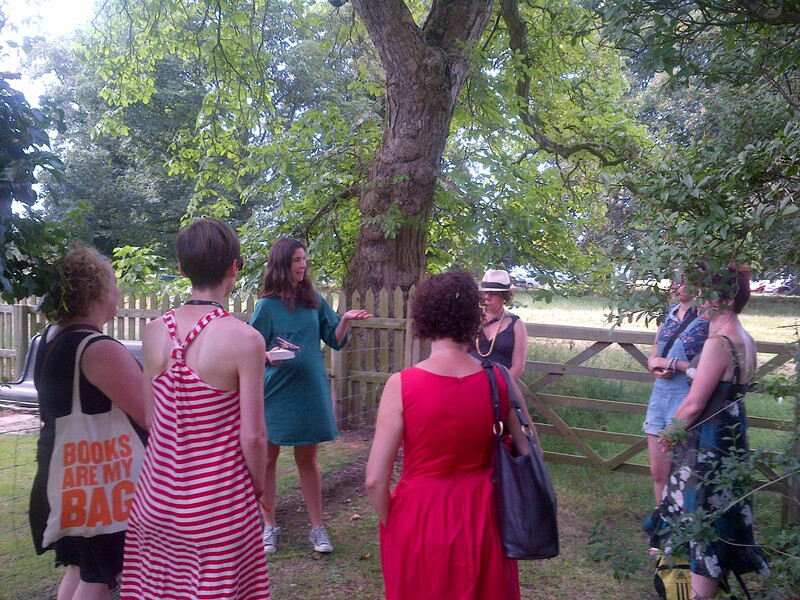 I also very much enjoyed discussing Jane Eyre with a walking book club, as we wandered through pretty, and blissfully shady, woodland. 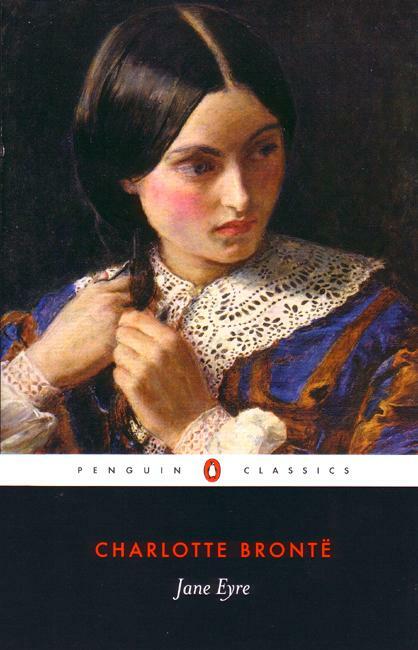 Jane Eyre – what a corker! 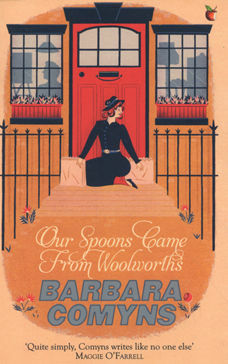 Of course I remember loving it when I read it as a schoolgirl: oh how I wept when Helen Burns died, longed to hear my name carried mystically on the wind, and developed a lasting love of window seats … But I was a little surprised to find it every bit as good, if not better, second-time round. Especially pleasurable was that the husband read it too in order to join us for the walk, and though I had my doubts as to whether he’d get the drama and romance of it, he was instantly hooked, and it became impossible to get him to do much else until he reached the end. Indeed there was one day when he was in a foul, grumpy mood, and I couldn’t work out what was wrong, only to discover that that morning he’d read the bit where Helen Burns died and, he sheepishly admitted, it had left him feeling upset all day. Reader, I have never felt happier to have married him! 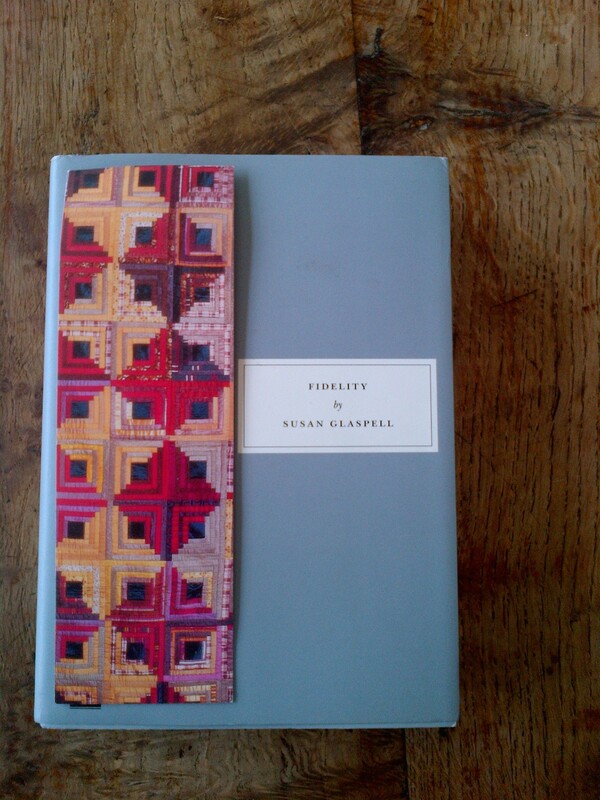 It was a nice coincidence that I next picked up Fidelity by Susan Glaspell, a Persephone book that has been sitting on my shelf for a few months, tempting me with its siren call of pleasure lying within its enigmatic plain grey covers. Fidelity is set in ‘Freeport’, a small town in Iowa at the beginning of the twentieth century. Ruth Holland has caused widespread outrage by running off with Stuart Williams, another woman’s husband. Mostly set just over a decade afterwards, Glaspell shows what happens when Ruth returns to the town to be with her dying father. We see how her actions have affected her family, her friends, Stuart’s wife, and also herself. For it becomes clear that it hasn’t been an easy ride off into the sunset for Ruth, indeed, she has been unable to escape the gossip that follows her to the West, so has struggled to keep servants or make any friends. It is a difficult stay in Freeport. ‘Society has to protect itself’, and, aside from one or two friends’ loyalty, the town continues to shun her. 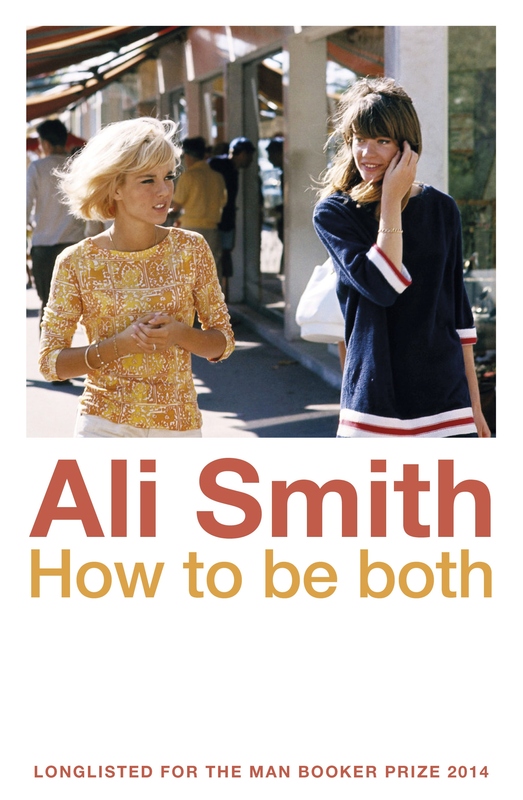 Then Ruth is approached by Mildred, a girl who is having an affair with a married man, and who sees Ruth as someone who might understand her, offer some advice. ‘It’s love that counts, isn’t it, – Ruth?’ she asked, half humble, half defiant. Ruth turned to her a tender compassionate face, too full of feeling, of conflict, to speak. Slowly, as if she could not bear to do it, she shook her head. There was something in humankind – it was strongest in womankind – made them, no matter how daring for themselves, cautious for others. And perhaps that, all crusted round with things formal and lifeless, was the living thing at the heart of the world’s conservatism. She telephones Mildred but finds it is too late; ‘Mildred had been “saved”’ and soon settles into the conventional life of the town. So, in this subtle and surprisingly gripping novel in which Glaspell shows such painful empathy with all her characters, we are faced with all the complicated ambiguity of Mildred and Ruth’s differing decisions – Ruth has been faithful to love over society but has suffered for it; Mildred reaps the rewards of having been faithful to society, but has relinquished the power of love and her own strength of character. As I was mulling this over, it struck me that Jane Eyre is in many ways about the same thing, though it gives a very different response to the proposal of living as someone’s mistress. 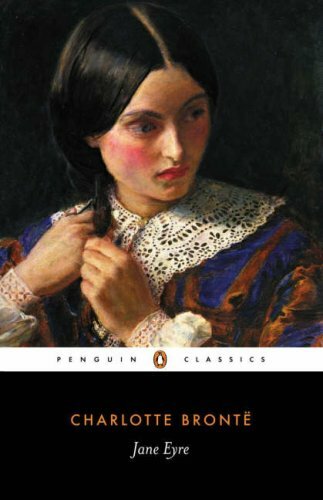 In both Jane Eyre and Fidelity, the marriage is portrayed as false in some way, so it is less binding that it might be otherwise. Rochester was tricked into marrying a madwoman for money, who he keeps locked in the attic. Stuart Williams’s wife hasn’t forgiven him for a short affair he had some years before. ‘Are our whole lives to be spoiled by a mere silly episode?’ he asks, stating that for two years they ‘haven’t been married’, and begging her either to forgive him or to grant him a divorce. She refuses to do either. ‘Haven’t you any humanity … Don’t you ever feel?’ he implores. Our heroines take opposite paths. Ruth follows Bronte’s capitalised ‘Feeling’ in her fidelity to love over society; Jane resists and follows the law instead. Ruth has the added complication of the friends and family Jane lacks, and while she goes on to suffer from the effect of their disapproval, she suffers most from the knowledge that she has made their lives difficult by their mere association with her. And yet these paths, though seeming to go in opposite directions, have many similarities. Jane and Ruth both steal away in the middle of the night to escape to places unknown. 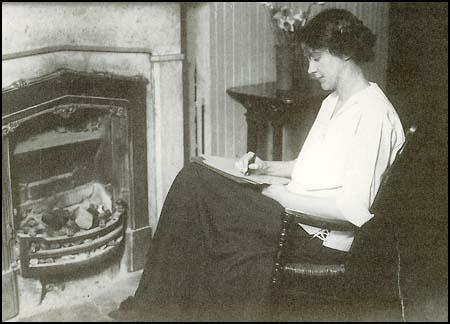 Jane then suffers acutely – sleeping out on the moors, nearly dying from starvation, surviving only thanks to the pity of St John and his sisters, who take her in and then set her up as a schoolmistress – whereas Ruth might at first be happy in ‘the sweetness of believing herself loving and loved’, but suffers before long, in her awful discovery that ‘the town is the whole world’ and love is not enough to fill that gap. Jane might succeed where Ruth fails in making friends and establishing herself in a new community but both heroines suffer from loneliness – for Ruth it is because she has turned her back on society, for Jane because she has turned her back on love. I broke from St John … It was my time to assume ascendancy. My powers were in play and in force. The thing that made me go with you then is the thing that makes me go my way alone now. Love could not fail if it left one richer than it found one. Love had not failed – nothing had failed – and life was wonderful, limitless, a great adventure for which one must have great courage, glad faith. Let come what would come! – she was moving on. If marriage is what the books are all about, then Jane and Ruth go in opposite directions: one heroine chooses to be alone rather than illicitly with her lover, but then marries him when she can; the other lives as his mistress for years and then leaves him. If, instead, we see the books as being about ‘fidelity’ to oneself, about having the courage to take the harder path as opposed to succumbing to the lure of the easier, then our heroines tread side by side. When Jane is prevailed upon by Rochester and then by St John, she resists by saying first ‘I care’ and then ‘My powers were in play and in force.’ (Bronte’s italics both times.) When she does marry Rochester, it is she who does the marrying: ‘I married him’ – not he married me. Throughout the novel, Jane has the courage to take her own actions rather than bowing to the will of others. Similarly, Ruth makes her own decisions rather than being swayed by others: first in leaving home to be with Stuart and then, rather than yielding to the pressure of convention in marrying him in spite of knowing they no longer love each other, she has the strength to move on alone. Two very different outcomes, but really I think the books share the same message of how important it is to have belief in yourself and the courage of your convictions. I hope this is an inspiring note to leave you with over the summer! I am usually very good at sleeping. I can do it pretty much anywhere and for as long as is possible. Even during an unbelievably perilous journey across the Indian Himalayas, crammed into a tiny jeep with nine other people and a driver who stank of booze and drove for 22 hours without taking in anything solid. Head lolling from side to side, I was out for the count, much to the annoyance of the fiancé, who spent the 22 hours clinging on to his seat, eyes wide with terror. But, the other day, I found myself unable to get off to sleep. For those who suffer from insomnia, it must be an incredibly frustrating, debilitating affliction, but, as it so rarely comes my way, I quite enjoyed the novelty. Rather than fretting about whatever it was that was keeping me awake, I decided to put my mind to better use. I thought perhaps I’d go through the alphabet for a particular category. Capital cities are a good one, as are rude words (the only way to keep me sane while having a filling at the dentist). But, in the end, I went through the alphabet deciding on my favourite author for each letter. It was a fascinating exercise. There were some unexpected and very difficult matches, (Virginia Woolf vs Edmund de Waal, for instance) and it also showed up several gaping holes in my reading. It is refreshingly logical, which is something I rarely am about books – it’s easy to gush about favourite books and marvellous authors, but when one has to weigh an author against another one, it becomes a far more measured exercise. So I thought I’d share the fruits of my insomnia with you, and take you through my literary A-Z, a few letters at a time. I think what I’m doing, in blogging terminology, is introducing a ‘series’. I expect I’ll do it once a month. I hope you like it! For many people A means Jane Austen. So many – usually very clever, well-read – people, such as P.D. James, absolutely adore Jane Austen. But I think she’s the musical equivalent of Mozart. Evidently a genius, but so twee and twiddly that I can’t bear her. I must be a philistine. I hope that, like tomatoes, it’s a taste I’ll grow into. But just a slipped final letter away from Austen is Paul Auster. The first Auster I read was The New York Trilogy. I’d just decided to apply to read English at Oxford – as opposed to Biology or Psychology, which had been the original plan – and our English teachers had distributed these lists of books that I suppose they considered to be seminal works that we should have read before our interviews. I read several of the books on there with a feeling that they were good but old. 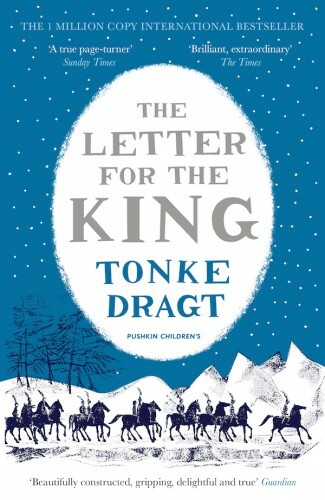 Books like Rasselas and Candide and Gulliver’s Travels – all very clever, all very important, but nothing that sets a seventeen-year-old alight. But then there was The New York Trilogy and – apologies for being a bit Billy Eliot here – it was like electricity. I was so astonished to be reading something so modern, so new, so playful, so dark. And, in the words of my seventeen-year-old self, I thought it was quite ‘cool’. It made me feel incredibly excited about the possibilities of literature, as something that could be so experimental, something that was still evolving, something with a future, not just a past. 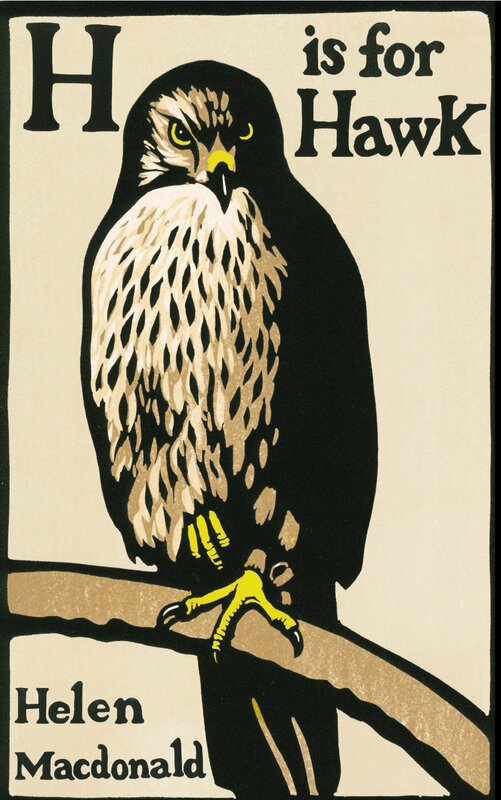 I went on a bit of an Auster binge after that, and I remember feeling particularly fond of Mr Vertigo, which is about a boy who learns to fly. And Timbuktu, told from the point of view of Mr Bones, a dog. And then I read Invisible a couple of years ago, which was, characteristically, weird but also brilliant. And, most recently, Sunset Park, which was a slightly disappointing 3 out of 5. Martin and Kingsley Amis deserve a mention, although I hate the one and never got round to reading the other. I better stick with that first, tremendously excited, reading of The New York Trilogy and say that Paul Auster is King of the As. The Bs, for me, boil down to Bronte vs. Bowen. Having recently finished Bowen’s Court by Elizabeth Bowen (see my last post), I am very much under the Bowen spell. I am longing to read more by her – I’d love to see what her novels are like – and, as I said, her voice is so strong and familiar that I felt like I’d made friends with her. I am even beginning to miss her. But the Brontes. How can anyone compete? Perhaps it’s because the Brontes are usually part of a schoolgirl’s reading, they seem like a rite of passage. I have felt a particular affinity with Wuthering Heights because when I went to Burma, nearly ten years ago, I met this very kind man called ‘Mr Book’, who ran a bookstall, and looked after my friend and me for a few days. He, funnily enough, loved books, and so he decided to call me ‘Emily Bronte’ or ‘Wuthering Heights’. It’s hard to decide between Wuthering Heights and Jane Eyre, but I think I’ve got to come down on the side of the latter. It’s such a wonderful book, and one that bears rereading several times. 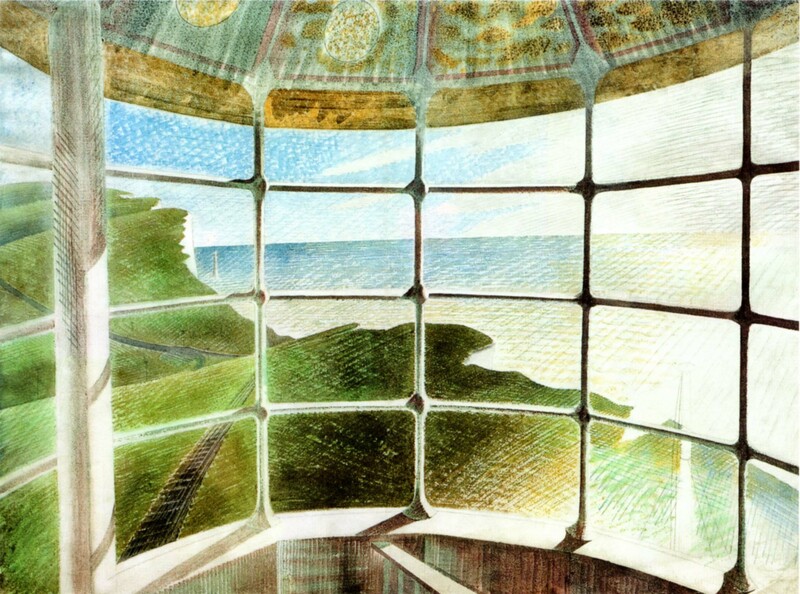 Charlotte Bronte creates such overwhelming empathy for Jane – a sweet, young girl in a big, strange house – that anyone who doesn’t count this among their Top 20 books can scarcely be human! 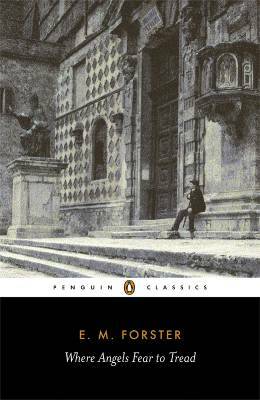 I nearly forgot Bassani, who wrote The Garden of the Finzi-Continis. I read this while I was on holiday in Italy last summer (see this post on it). At the time, I enjoyed it but I didn’t think it was utterly spectacular. It was only afterwards, that I found I kept on thinking about it, and began to see that really it was a rather subtle masterpiece – Bassani created a lingering poignancy, which still haunts me today. But, when all’s said and done, no other B can beat Jane Eyre. Charlotte Bronte has to be the winner. Now C is an embarrassing letter for me. Not in a Lady Chatterley way, but because it shows up so many gaps in my reading. 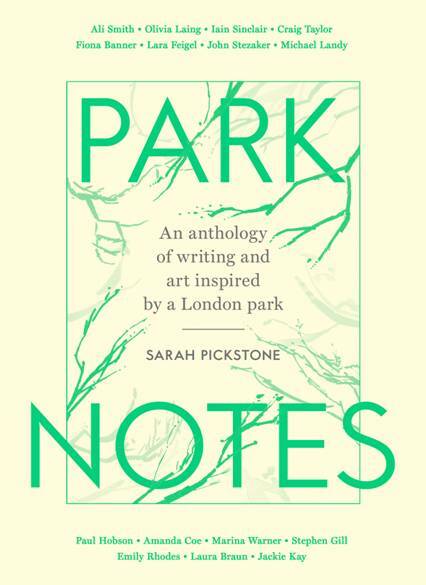 I know, from various friends and colleagues, that the following C-authors are fantastic: Michael Chabon, Raymond Carver, John le Carre, Wilkie Collins, Albert Camus. I can hardly bring myself to admit this, but I haven’t read any of them. No, not even Tinker, Tailor, Soldier, Spy. Not even Kavalier and Clay. Not even L’Etranger. I suppose one very useful aspect of this exercise is in showing up the gaps. I must stop making excuses and just get round to reading some of these books! So, for C, I’ve hopped over to poetry. To Coleridge and to Chaucer and yet another tricky decision. I’m not sure there’s much that’s better than ‘Kubla Khan’. And there’s the great opium story that goes with it. But Chaucer … he’s up there with Shakespeare, I don’t think it would be right to knock him off the top spot. We read rather a lot of Chaucer at university. Here and here are earlier posts about the dream poems, and everyone knows about The Canterbury Tales, but it’s Troilus and Criseyde that seals the deal for me. It’s magnificent. And the character Pandarus, Criseyde’s uncle, who persuades Criseyde of Troilus’s virtues, gives us the word ‘pander’. Yes, C has to be Chaucer. Any disagreements? Any omissions? Let me know … In the meantime, I’ll start weighing up the Ds, Es and Fs.